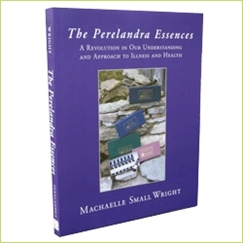 The Perelandra Essences - Perelandra Ltd.
Steps for creating quality BTT checklists and CI checklists, including the "magic ingredient"
The Perelandra Essences isn't just an update of the Flower Essences book. It totally replaces the old book! If you are currently using the Perelandra Essences or you have used them in the past, this book will completely revamp and improve your approach to using the Essences. The eBook can be downloaded to any reader or device that accepts PDFs, including Kindle and iPad. It is especially drop-dead gorgeous when downloaded to an iPad. The colors that are throughout the book are maintained and the navigation technology imbedded in the iPad for PDFs is wonderful. Combined with the links we provide, you have one beautiful book that can be navigated, bookmarked and searched effortlessly. And you can get this same beautiful book on any device that is PDF-friendly.